Imagine you’re 2,000 miles from home hustling through a hectic airport after two days of flight delays when someone greets you by name. This person not only recognizes you, but she knows how anxious you are to get back home after a snowstorm threw a wrench into your travel plans. It would catch your attention to say the least. Ideally, it would be the first of a series of positive, personalized interactions that see you through to your destination. That’s exactly the philosophy behind British Airways’ “Know Me” program, a new people-centered approach to customer service with big data at its core. 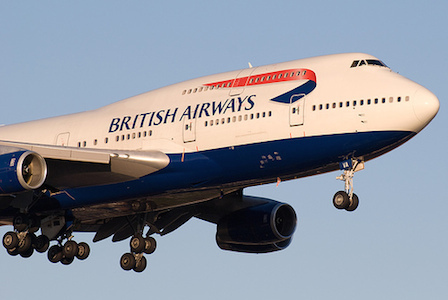 “There’s a great irony in the fact that data, which is impersonal, has created perks and services and a service level that’s very personable,” British Airways Marketing VP John McDonald said in a recent interview with Slate. Early last year, British Airways began using customer data to provide a more meaningful experience from check in to baggage claim. For example, the “Know Me” program sends messages about specific customers to customer service agents, alerting them of executives, frequent flyers and even first-timers in business class. If a traveler is new, the alert prompts a flight attendant to explain the perks of the business class cabin. If a traveler has recently experienced delays or other frustrations, the alert encourages staff to go the extra mile to ease the tired passenger. The system also enables the team to search Google Images for a photo to immediately recognize these customers. The “Know Me” program is a prime example of how customer data—when it’s used wisely—can bridge the gap between companies and their consumers. It’s a fact: Consumers respond better when they feel like they’ve been treated with respect. After all, everyone wants to feel like the information they share about themselves is being used for their benefit, not just for the sake of a sale. As a result, companies are paying more attention to data than ever before. According to a 2014 report on the state of marketing, 61 percent of marketers said they planned to spend more on data and analytics this year. And this data-driven marketing is being implemented across channels, from social media to email. In fact, 68 percent of marketers reported that email is core to their business as they use data to reach out to new customers, invite them to subscribe to content and wish them a happy birthday or anniversary. Are we collecting enough valuable information about our customers to give them a personalized experience? If not, what channels should we be using to collect useful data? Does our strategy include multiple interactions over time? Or are we turning off potential customers by asking for too much? How can we use our data to ensure customers are getting what they want? How will we ultimately evaluate our new data strategy? At its best, Email Intelligence can tell you exactly who your subscribers are, what they want and how you can reach them. It can transform a list of meaningless email addresses into people with social media profiles and specific interests. Just take British Airways “Know Me” program as an example. The more you know your customers, the better you can give them what they want and get the results you want in return. To learn more about how you can use big data to create a more personalized experience for your customers with Email Intelligence, download our eBook today!